"We have adopted a strategy that was developed for the first time in the history of Lebanon, contrary to what happened in the past from unprincipled quotas and agreements." Hasbani described the campaign against the Ministry of Health as narrowed political defamations. "We have put great effort to adopt reforms and transparent steps, while it was customary to abide by the benefits of regions, parties and sects". 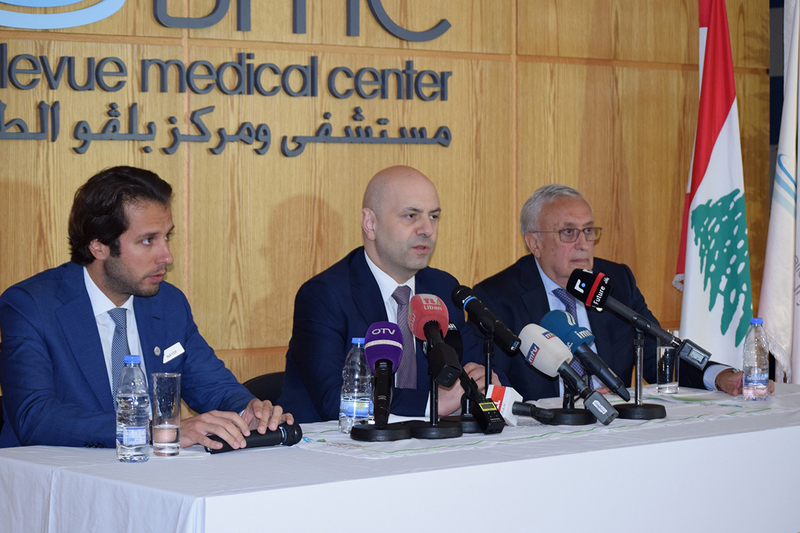 Beirut, Lebanon – July 2018: Under the patronage and presence of Deputy Prime Minister and Health Minister Ghassan Hasbani, Bellevue Medical Center (BMC) held a press conference announcing the first successful uterus transplantation procedure in Lebanon and the MENA region, in the presence of the Medical Director and Vice President of Medical Affairs at the hospital, Professor Ghassan Maalouf and Chief Executive Officer Nayef Maalouf, in addition to the President of the syndicate of private hospitals Sleiman Haroun, and a number of hospital officials, doctors and staff. Deputy Prime Minister started his speech by congratulating Lebanon on this revolutionary medical achievement that puts our country in the forefront of medical innovations, being one of only ten countries in the world to have conducted a successful uterus transplantation, giving back hope to many women who are not able to carry a pregnancy. The Minister of Public Health added that when he started his role at the ministry, he had presented a plan for the year 2025 aiming at keeping Lebanon ahead of innovations, achievements and health developments, as well as improving medical tourism in the country. In fact, Lebanon is proving through such procedures, that it has a key role in the medical industry. Moreover, he stressed on the fact that very clear regulatory frameworks have been put in place to execute the uterus transplantation procedure, which has been carried out with the participation and follow-up of the National Organization for Organ and Tissue Donation and Transplantation and the Ministry of Public Health to ensure that all the steps are ethical and follow international standards that are adopted to maintain patient’s safety and rights. 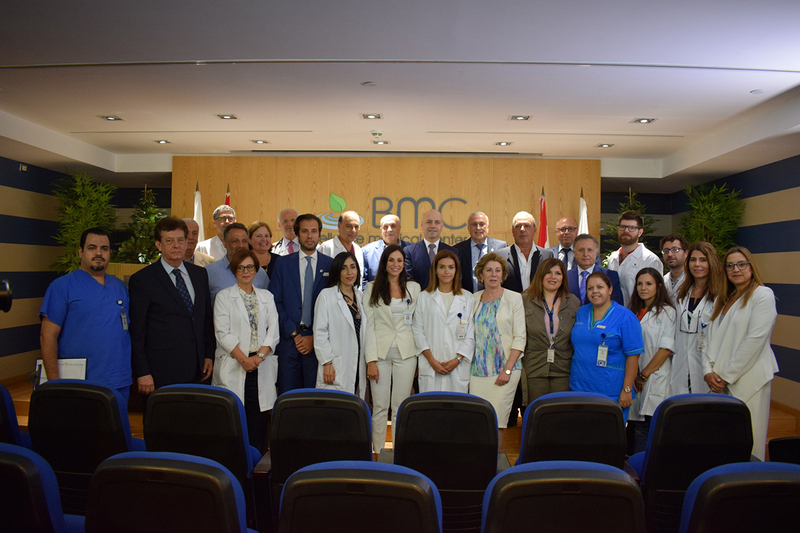 Minister Ghassan Hasbani paid tribute to the medical team at BMC, saying: "This team was keen to ensure that the operation was carried out within the right framework, which would contribute to show a bright image of Lebanon in terms of achievements, despite all those who exert their efforts inside or outside Lebanon to distort its image and confuse those who work in the right way. 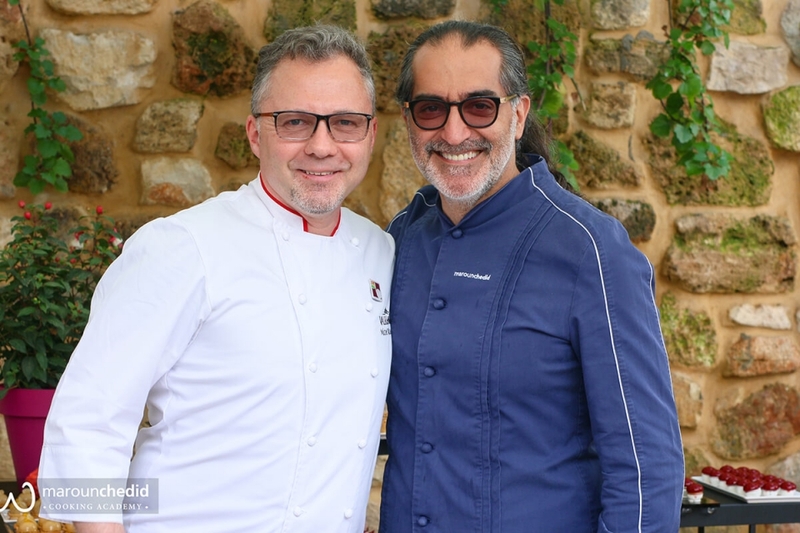 We say to these: despite your efforts, those who work consciously will make the image of Lebanon a bright and correct one!" Minister of Health continued saying: I have personally put a great effort in the Ministry of Public Health to move forward with a number of reforms and clear and transparent steps, including the development of medical tourism, despite those who try to distort the image of the medical sector for narrowed political purposes and regional, sectarian or partisan benefits used in the past years without anyone taking correctional steps. The Minister of Public Health pointed out that the evidence for this are the immediate international reports showing that Lebanon ranks first in the Arab world and 32nd internationally. This ranking means that Lebanon has a few points ahead of the United States in terms of health services. This fact is worth congratulating Lebanon and all those who work sincerely to develop the health sector. The Minister Hasbani continued saying: Lebanon is not only working at the local level but also at the global level to improve the human life. Dr. Randa Akouri has been at the forefront of research at an international level in the field of uterus transplantation; this should remain at the forefront of attention away from competition, lies and political slanders, because the health sector is a human interest sector and should not be subject to politicization, but should have as first and foremost priority people’s lives. The Minister of Public Health stressed on the importance of continuing putting human life and health as a priority despite everything that is happening and it is said that this is a national priority for every official in the state to be concerned in the latter, whether they are politicians, administrative workers, scientific professionals or media representatives. He pointed out that we count on honest journalists who work in logic and correct analysis in order to reach the truth and convey the true image of the citizens, so they are not afraid of the lies that shake their confidence in the health sector. On the contrary, they should feel safe in the good hands of professional medical bodies, syndicates and developed hospitals, in addition to a ministry that takes care of all these things in a transparent and fair manner, despite all the attempts being made to interfere in the process. 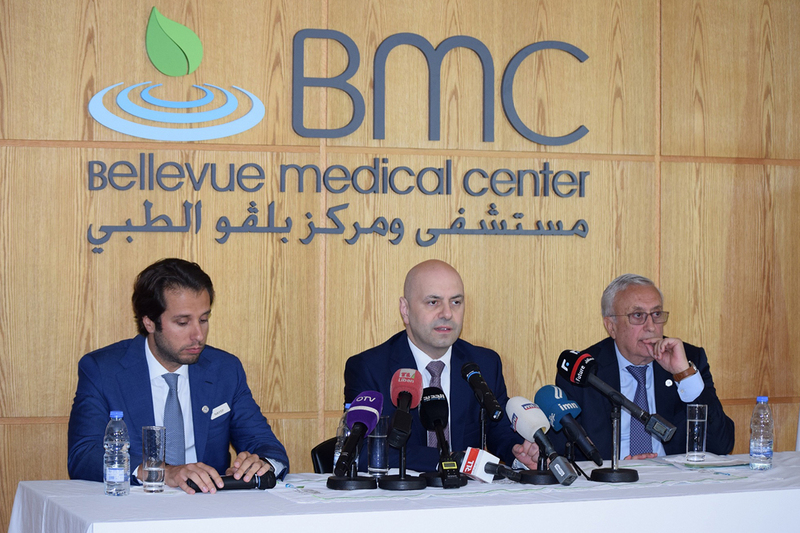 Chief Executive Officer Nayef Maalouf explained the reasons that triggered the Swedish team to choose BMC for this clinical research, which has certain characteristics due to the advanced equipment used in the operating rooms and their meticulous ability to follow-up with the patient and the donor. A video about the uterus transplantation procedure was presented in which the patient spoke about how this operation changed the course of her life. 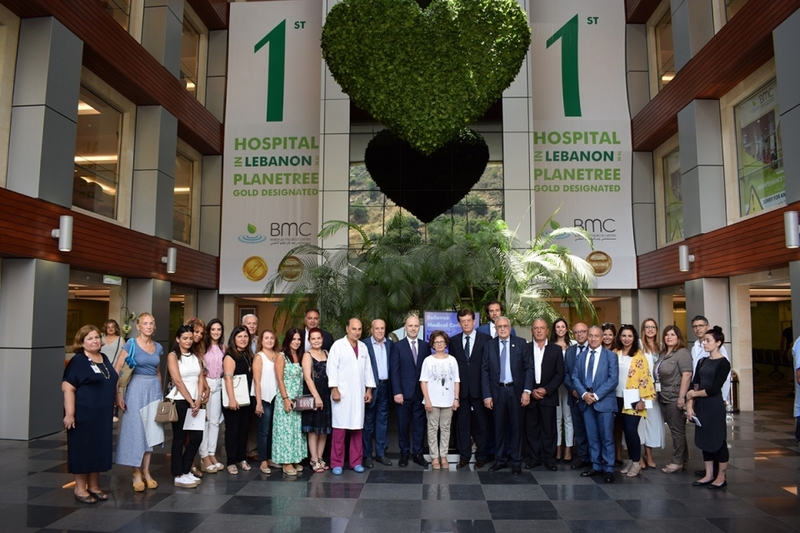 The operation was executed by a team of the best specialists in transplant surgery and high-risk obstetrics, in coordination with a Swedish team of doctors headed by Professor Mats Brännström and the Lebanese Dr. Randa Akouri. The procedure was done on June 11th to a Jordanian 26 year old lady, whose donor was her 50 year old mother. The donor’s procedure took 12 hours, while the recipient’s took 6, and both were very smooth. stayed in Lebanon under supervision for one month, to prevent undesirable side. She is now doing well, waiting for the IVF (in-vitro fertilization) process, which can be initiated in 9 months, to be followed by a healthy pregnancy. A remarkably innovative procedure that is still under evaluation and development, uterus transplantation is likely to change the lives of many women who are not able to carry a pregnancy due to Uterine Factor Infertility. It is estimated that in the MENAT region (MENA & Turkey), 100,000 women have Uterine Factor Infertility. The trial requires that potential participants undergo a complex protocol and extensive medical and psychological evaluations to make sure she is a good candidate. The selected woman will maintain the transplant for as long as she needs to have children, and then have it removed, saving her from long-term use of immunosuppressive drugs. 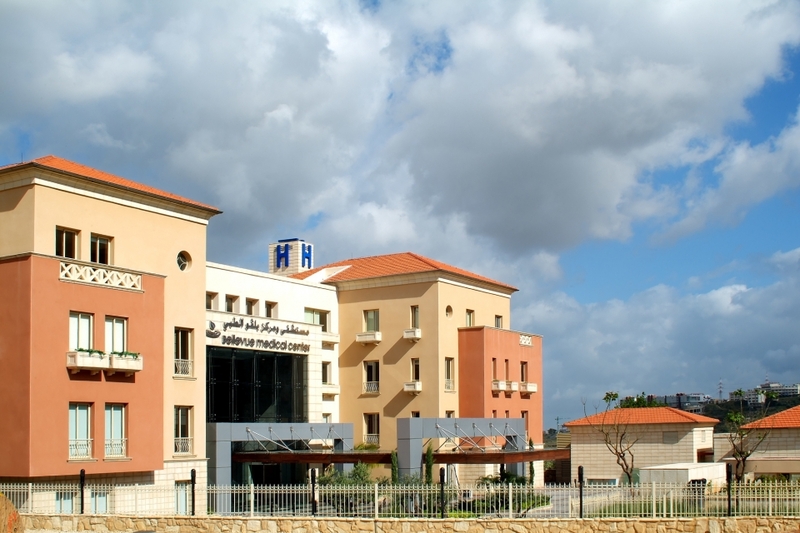 Back in 2016, Bellevue Medical Center had signed an agreement with the University of Gothenburg in Sweden, to become among the first teams worldwide to perform the uterus transplantation trial and was chosen as the first hospital to realize the procedure in the MENAT region (MENA & Turkey), for meeting the high quality standards needed for it.